While commercial production and use of asbestos have been banned in Australia for over a decade, inadvertent exposure is still a serious problem due to the widespread presence of these highly heat-resistant mineral fibres in building materials found in thousands of established structures across Australia. There are some occupations that put workers at much higher risk of asbestos exposure than others. Let’s take a look at 5 of the occupations located high on the list of at-risk professions for asbestos exposure in Australia. As thousands of different kinds of construction materials contained asbestos prior to the 1980s, construction workers today who engage in demolition or renovation work are among the among the most at risk of exposure. Construction workers often come across materials containing asbestos in rooves and flooring such as amosite (brown) asbestos which was used to be utilised in products such as cement board. 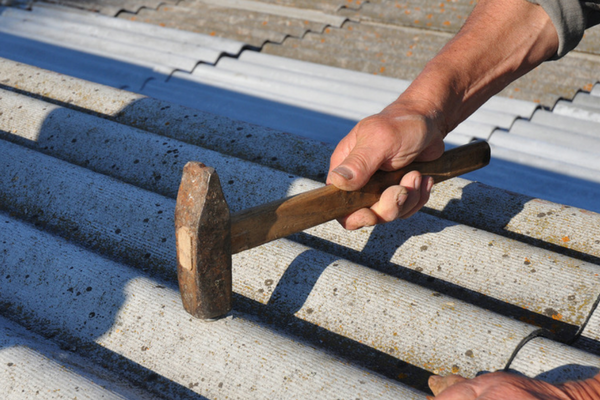 When asbestos-based products are sanded or sawn the asbestos fibres become airborne and can be breathed in by the carpenters carrying out these activities. Until the use of asbestos was banned in 2003 conduit piping made from asbestos products was used to encase electrical wires. Another way that electricians and electrical engineers can be exposed to asbestos is via fuse boards that have a black backing product known as zelemite, which also contains the fibrous silicate minerals. Plumbers are often exposed to asbestos when they work with water and sewer pipes, gaskets, asbestos-running rope and plumbers’ putty. In the 1980s asbestos was a preferred material for heating pipes, water pipes and even drains thanks to its heat-resistant and friction-resistant properties. Mechanics, foremen, trade labourers, chemical workers, machinery operators and other industrial workers can be exposed to asbestos products such as asbestos paper, textiles, gaskets, insulation and fireproofing. Industrial insulators are among the most at risk of asbestos exposure in this occupational category. If you manage or are in control of a workplace, including homeowners sub-contracting works, it is vital that you are aware of your legal responsibility relating to asbestos. Safe Work Australia’s Code of Practice on the management and control of asbestos in the workplace provides guidance on how to respond to asbestos exposure threats. Materials containing asbestos must be identified prior to the commencement of any works which require demolition and/or refurbishment. Inhalation of asbestos dust or fibres can occur in the workplace either through the direct handling of asbestos or the handling of materials containing the potentially fatal fibres. Unfortunately, this often happens without the employee who has been exposed or their manager even knowing exposure has occurred. Alpha Environmental provides a comprehensive service covering identification and management during the removal of materials containing asbestos. Our experienced staff will work with you to help identify and if necessary manage the removal of any asbestos-containing products from your workplace. We offer efficient and competitive asbestos services that can be tailored to meet your business needs. We can assist you with each phase of the process including asbestos testing, identification and management.